Configure and automate your content update and import activities so it occurs in an efficient, repeatable, standardized way. Your Documentum D2 document classification plan (data model, security, folder structure, naming) is not static. You need to regularly adapt it to support new business requirements. Moreover, you know that any new classification should be applied to the existing documents. Setting up a new Documentum D2 repository involves an initial document import activity. The source documents can be located on a file system or in another Documentum repository with a different classification. You need to find a solution to easily map it to the new one. 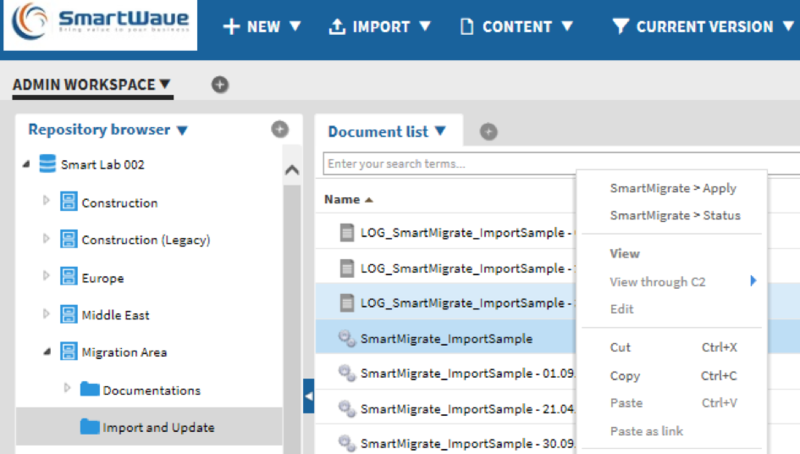 Designed for enterprise already using or starting to use Documentum D2, SmartContent is a necessity to easily update exiting and import new content to your repository. Are your document update and import processes manual, full of difficult-to-write scripts? Is your D2 implementation project too slow? Are your Documentum developers hindered because of missing realistic test documents? Do you need to move documents from file system or a Documentum server to a D2 instance? Speed up file system or Documentum document import to provide content to your customers faster. Adapt your document classification plan to match new business needs. Accelerate your D2 implementation project with high quality documents to test your configurations. 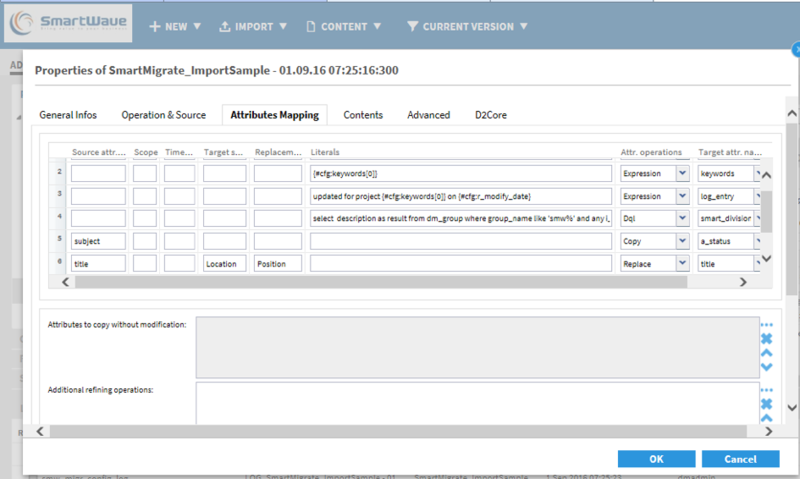 Make your content import and update painless with a configuration based tool. Enable end-users to update and migrate their content while maintaining governance and control: full auditability, security controls and reporting capabilities. Easily create your training D2 environments with a subset of real documents with real or anonymized content.